This is your official SPOILER WARNING if you don’t want to ruin the surprise. One of the more interesting questions about Marvel’s upcoming Ant-Man is how it will tie into everything else in the Marvel Cinematic Universe. A new ad spot has given us another hint by showing us one current Marvel actor who will be making an appearance. Ok, everybody still here? Let’s go. 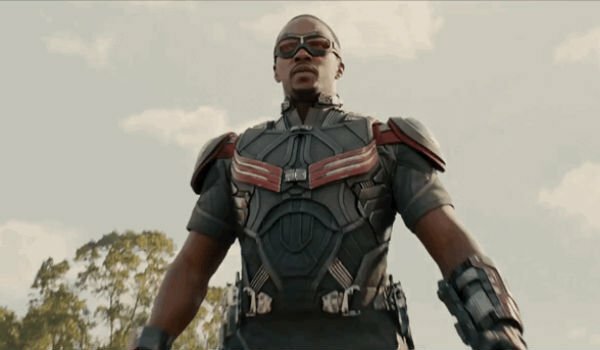 Please welcome our special guest, Anthony Mackie as Sam Wilson, aka Falcon. Marvel tweeted this clip yesterday before quickly removing it from their feed, because, well, surprise! While Falcon had been one of the rumored cameos in the film this is our first shot of him which confirms that it’s actually happening. While the less that a second long glimpse doesn’t tell us much, the one thing that is clear is that he is suited up and ready to go in the same outfit we saw him in at the end of Age of Ultron. That makes this shot likely more than just a simple cameo. He’s probably involved in at least one major action sequence in the movie. Unless you think he walks around in that thing all the time. Actually maybe he does, it looks pretty cool. With less than two weeks to go before Ant-Man hits theaters we expect to either get a lot of new information as the hype train begins, or none whatever as they keep all their secrets in order to drive us to the theater to get the answers. We’ll be seeing it either way when it opens July 17.